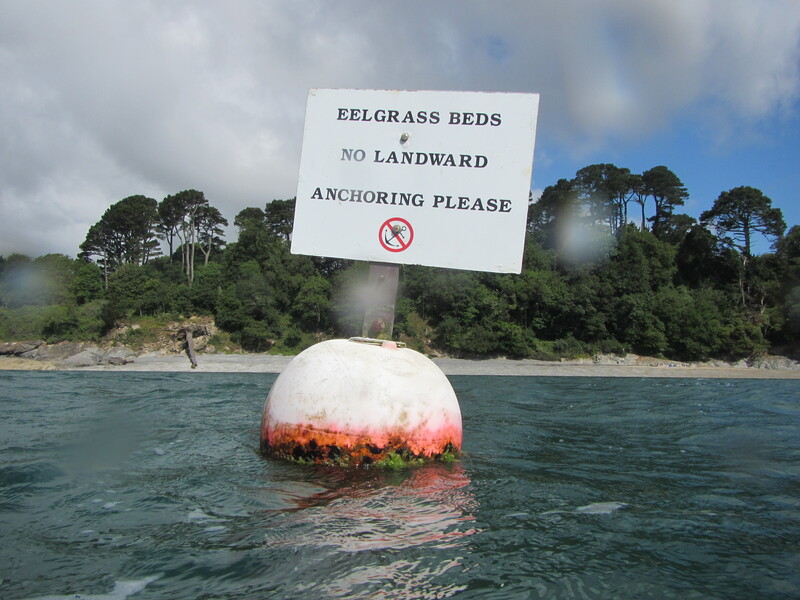 It has become almost a tradition to go for a dive at Silver Steps (rocky coast) one day and at Helford (eelgrass beds) the next (I rent my equipment for 24 hours, I could squeeze in a third dive maybe but I never really have time for that). So following the Silver Steps dive featured in the previous post, here the Helford one. We found many of the same creatures as described in recent Helford post so I will not get into these. Worth mentioning was the beautiful nudibranch Facelina bostoniensis, but I did not get a shot in focus unfortunately. 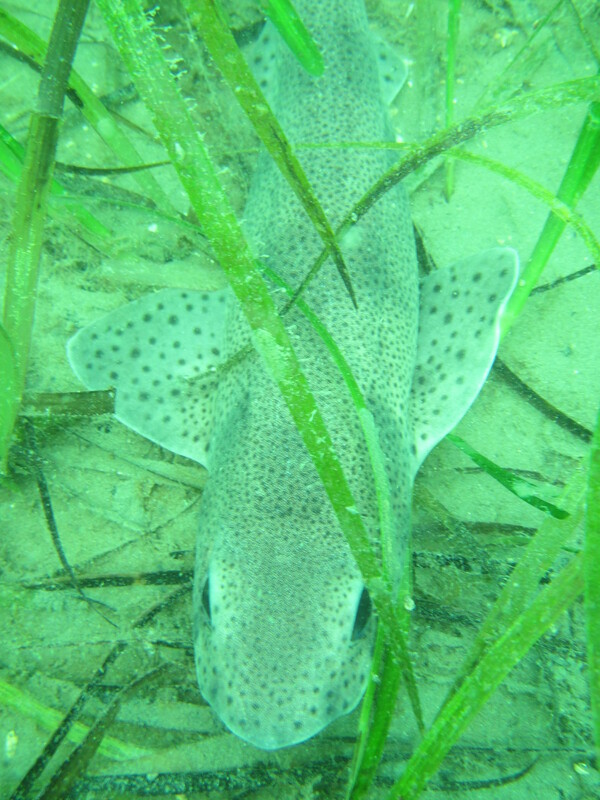 The highlight of the dive was a Small-spotted catshark Scyliorhinus canicula, around 60-70 cm in length. Very pretty and very easy to approach, I was able to shove my camera almost up its nose! This entry was tagged Facelina bostoniensis, Helford, Scyliorhinus canicula, Small-spotted catshark. Bookmark the permalink. Cool! I would love to dive in the UK one day. Glad I found your blog. Look forward to more great marine life photos. Hi Emilie, your blog is fantastic and I hope someday I get to dive in Hong Kong! !